The $6000 Thursday Bank is happening again and as always, Pearcey gives his best picks to help you get in the cash. Daily Fantasy Sports has been bought to Australia by the guys at Moneyball.com.au – the leading DFS platform in the country. They have a large array of games available in the lobby, ranging from an outlay as little as $2 up to $200 and beyond! Sign up today and join the Daily Fantasy Sports revolution! Moneyball contests for NBA are easy to be involved in – simply select 9 players (2 point guards, 2 shooting guards, 2 small forwards, 2 power forwards and 1 centre), whilst keeping under the $60,000 salary cap. Jump in the lobby today and give it a go! 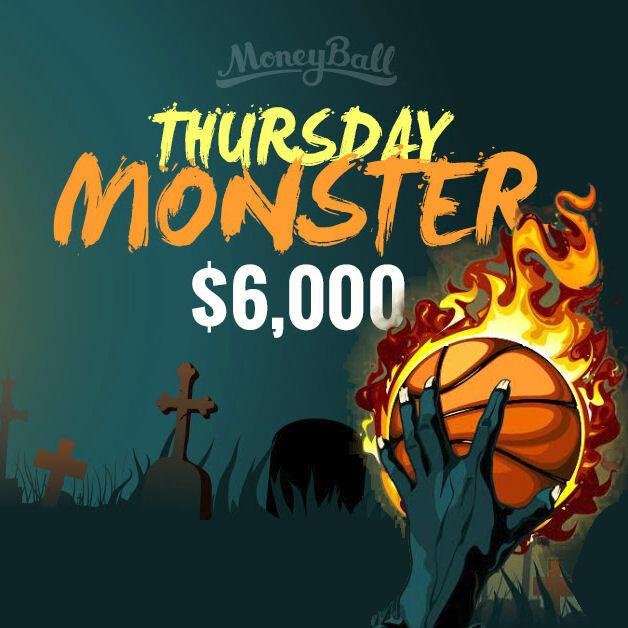 Thursday’s contests include the MAMMOTH Guaranteed $6,000 Thursday Monster ($15 entry) as well as a Fadeaway Special, a Slam Special (both $10 entry) and an Airball Special ($5 entry). There is also a $2 Monster and a $5 Monster, a HUGE $200 GOAT Monster as well as the usual H2H, Double-up and other competitions to satisfy your Daily Fantasy Sports appetite! Click here to find all of the Moneyball contests in the lobby. And as always, remember to only play with an amount of cash that you can afford to lose. Get Pearcey's tips for Sunday NBA games and win cash with Moneyball DFS. Get NBA picks from our NBA guru Pearcey for the Thursday Monster.